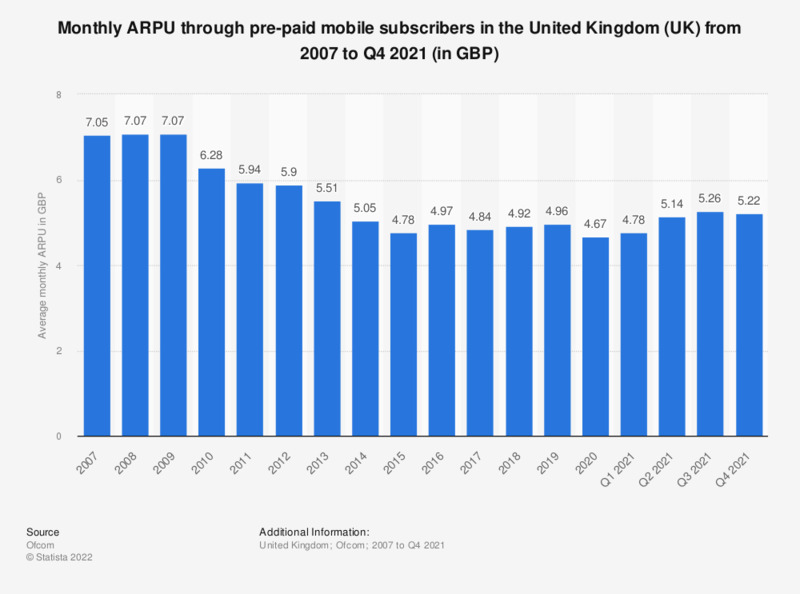 This statistic illustrates the monthly average revenue per user (ARPU) generated through pre-paid mobile subscribers in the United Kingdom (UK) from 2007 to 2016. In 2016, the monthly pre-pay ARPU was 4.74 British pounds. Adjusted for CPI (2016 prices).